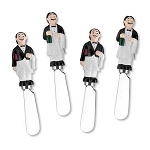 Spread some culinary fun with this set of realistic vintage wine cork topped spreaders. 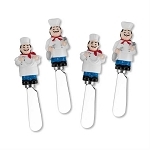 Spread some culinary fun with this set of realistic vintage wine cork topped spreaders. 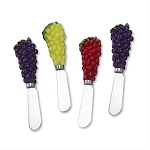 Decorate your wine and cheese appetizers and spreads with this set of 4 assorted knives, featuring detailed resin wine "corks" each with it's own unique winery imprint as handles. 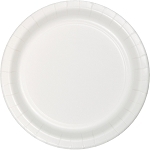 NOTE: The manufacturer recommends gently washing by hand in warm soapy water to preserve the hand-painted finish. 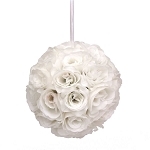 Functional decorations are a clever way to incorporate your theme over the duration of your event and throughout the party area. 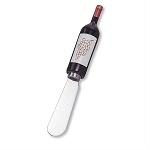 Set of four spreader knives each with a simulated vintage wine cork as the handle. 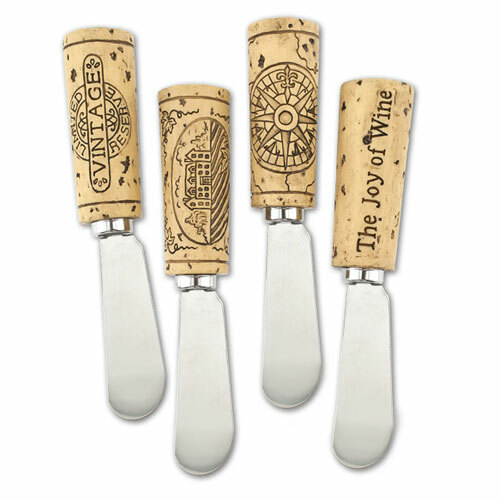 Featuring resin wine cork replications of 4 different vintage wineries complete with unique imprints. 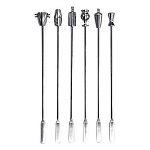 Spreader: 5" tall, 2-1/2" stainless steel blade, 2-1/2" wine cork handle; 8.7 oz set weight; 4 count. 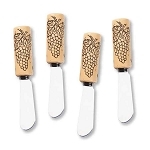 Wine cork spreaders are a fun and clever way to decorate your food & appetizer offerings at a wine and cheese party. 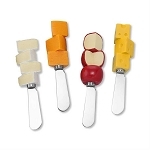 Use spreaders with cheese, hummus, and other spreads; condiments for sandwiches and burgers; or butter at a dinner party. 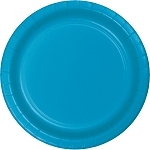 Put one on each butter plate. 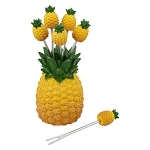 Loved them - the packaging was great - gift quality! 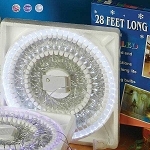 Nice job - Loved them! 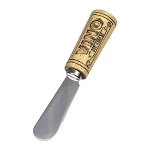 Q: Wine cork spreader are they pack separately?